Marc Edelstein connects soon to be home buyers with lending options that meet their specific needs. One of the products we offer is the government backed USDA Rural Development Guarantee Housing Loan (RD), also known as the Section 502 loan, named for its place in the USDA Charter, which are insured by the United States Department of Agriculture (USDA). The USDA Rural Development Guarantee Housing Loan is a unique mortgage option that has a wealth of benefits. This loan can help potential rural homebuyers purchase a property where they otherwise might not qualify for a conventional mortgage. Marc Edelstein helps his clients in Brighton, Howell, Pinckney, Fowlerville, and the whole state of Michigan. Contact Marc Edelstein today to schedule a consultation to learn more information about RD Loans in Michigan. 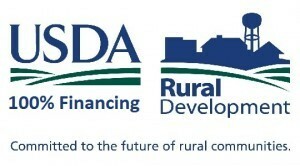 USDA Rural Development Loans were created to help rural homebuyers purchase a property and protect lenders in case they were to default on their mortgage. The USDA does not provide the loan but insures it up to 100% of the loan amount. With the insured RD Loans our lending partners have increased security and encourage us to accept more loan applications. Marc Edelstein provides competitive RD rates. Who Can Get an RD Loan in Michigan? RD Loans were created for people and families looking to purchase a home in a rural area. RD Loans assist rural homebuyers with affordable term to low-moderate income households. Income limits apply. Benefits of the Rural Housing Loan! Loans may include eligible closing costs, if the appraised value is higher than the sales price. Working with a Qualified Lender Choosing to work with Marc Edelstein of Ross Mortgage can help the homebuying process go smoothly. With over 17 years of experience Marc Edelstein knows how to match each client with the right loan that works for them. Marc Edelstein can help you get pre-approved which gives you leisure to focus on the actual home search! To learn more about USDA Rural Development Housing Loans in Brighton, Howell, Pinckney, Fowlerville and the whole state of Michigan contact Marc Edelstein today.